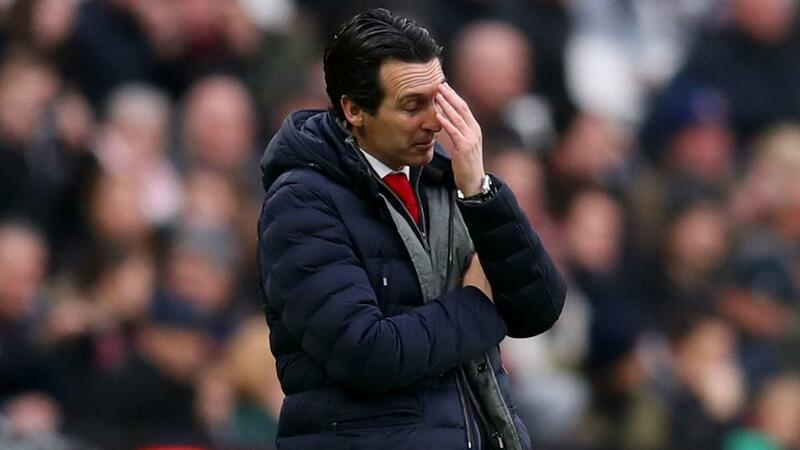 Arsenal boss Unai Emery admitted to being concerned by Arsenal's away form following a 1-0 Premier League defeat at West Ham on Saturday. Declan Rice's 48th-minute goal subjected the Gunners to a fifth consecutive away fixture without a win in the league - a run that includes three losses. The visitors failed to truly test goalkeeper Lukasz Fabianski at London Stadium and Emery knows his side must find a cure for their travel sickness. "It is disappointing, it is a concern," he said. "We need to be competitive both home and away. Away we are not taking the results we want. "We had to do more today to impose ourselves. If we can be better in the 90 minutes - competitive and quality - we can do it. "We lost the ball a lot in the middle. We could improve in the second, but their goal changed the game. They did good work in defence." Captain Laurent Koscielny told Sky Sports: "I think in the final third we needed to keep more calm and not try to find the final ball and to continue to play with movement. "In the second half we didn't stop but conceded the goal early. We had some chances and we didn't score. It is difficult to win if you don't score. We need to keep our ambition and our game. We can come back. "We needed to be clean with the ball and we weren't. In football if you give a small chance to your opponent you pay and today we did. "When you are arriving towards Christmas you know it is a big period and it is hard to compete at the same level. We started the new year with a win and we prepared for this game and came here with ambition for three points but we need to keep calm and focused on how we want to play." Despite the disappointing result, Emery is not desperate to add to his squad during the January transfer window. "We have good players," he added. "We need to continue to working and taking confidence. "The club is working but I am happy with the players. It is a bad result but we continue in our way."